If you signed up for a pre-launch invite to the New MySpace, check your inbox for a happy surprise. The reborn social network is now accepting its first trickle of users, and the site is, in a word, beautiful. Some of you are thinking: "Blerg, not another social network to sign up for." But give pause. 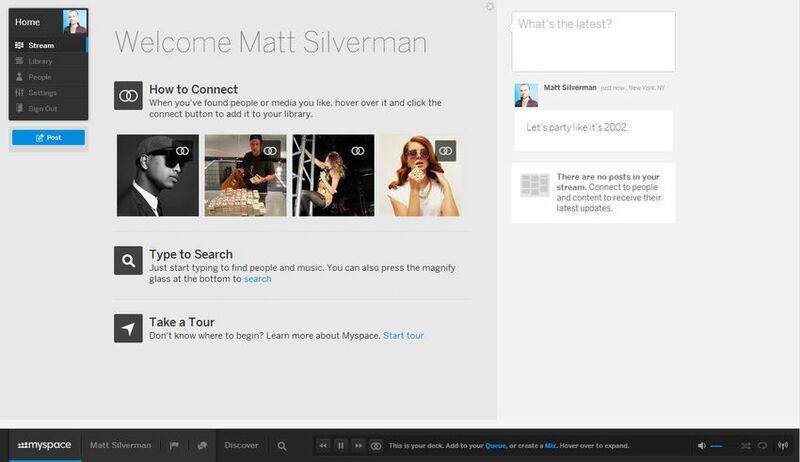 The New MySpace has taken great pains to differentiate itself from feeds like Facebook and Twitter. The horizontal navigation is fresh and functional, and the content stream takes a page from Pinterest's book. And the secret sauce, as some have long postulated, is in the truly seamless music integration. Whether you're about to sign up or still waiting for your invitation, kick the tires with us as we walk through the basic features and functionality. Is the New MySpace a phoenix risen from the ashes of a Web 2.0 catastrophe, or the last gasp of air from a dead social media giant? Share your experiences and tips in the comments.